CFN - CALIFORNIA FIRE NEWS - CAL FIRE NEWS : CA-YNP Yosemite National Park Remains Open - Yosemite Valley cannot be accessed from Merced via Highway 140. CA-YNP Yosemite National Park Remains Open - Yosemite Valley cannot be accessed from Merced via Highway 140. Yosemite National Park remains open with all hotels, lodges, stores and campgrounds that have opened for the season are fully open and operational. All entrances to Yosemite National Park are open. Visitors can get to Yosemite Valley via Highway 140 from Mariposa, Highway 41 from Fresno, Highway 120 West from Groveland, and Highway 120 East from Lee Vining and US Route 395. 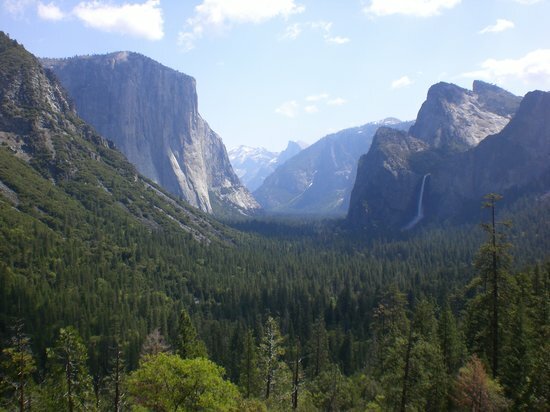 Yosemite Valley cannot be accessed from Merced via Highway 140. For more information, visit http://dot.ca.gov/hq/roadinfo/sr140. Interested in visiting Yosemite this weekend? There are rooms in Yosemite Valley available for Saturday and Sunday at the Majestic Yosemite Hotel, Yosemite Valley Lodge, and Half Dome Village. For more information on lodging, visit http://www.travelyosemite.com or call 888-413-8869.